When electrons in a magnetic metal are rapidly heated with an electrical or optical pulse, the material undergoes radical changes within tens of femtoseconds due to massive flows of energy and angular momentum between electronic, spin, and vibrational degrees-of-freedom. In collaboration with Jeff Bokor at UC-Berkeley and Sinisa Coh at UC-Riverside, we are working to answer two questions. What electronic scattering mechanisms are responsible for the ultrafast response of magnetic materials following excitation of the electrons? How can these scattering mechanisms be controlled? 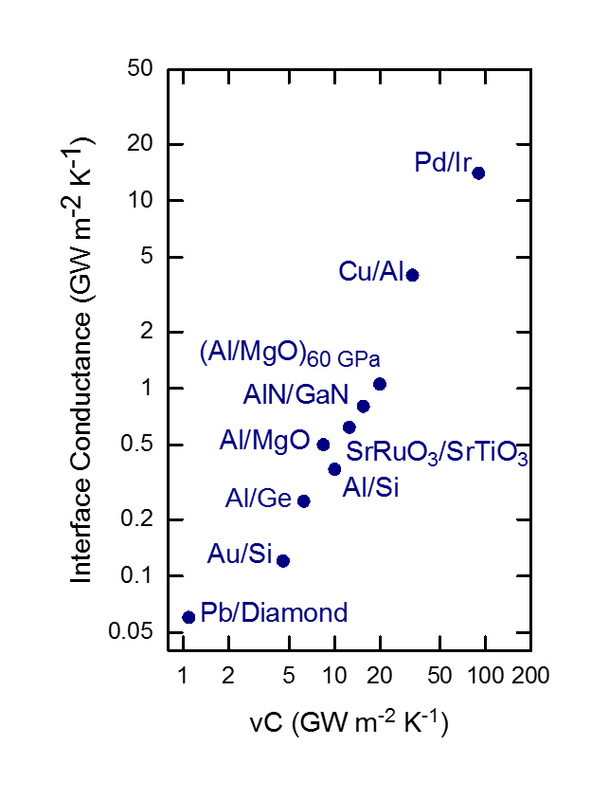 Metal multilayers display a broad range of interesting ultrafast transport phenomena. 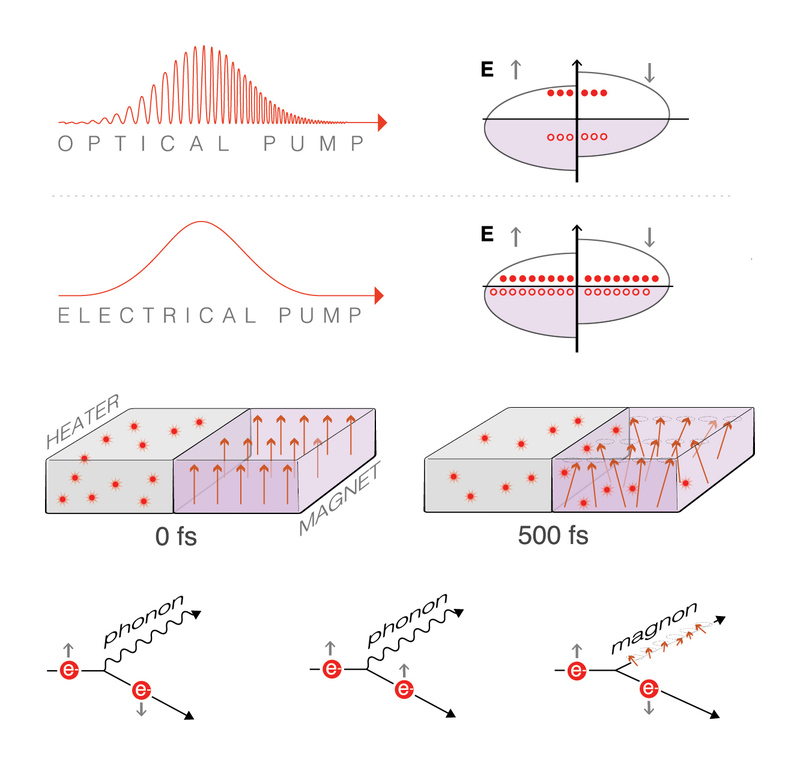 Examples include superdiffusive hot electron transport on sub-picosceond time-scales, and massive thermal diffusivities on picosecond time-scales prior to electron-phonon thermalization. Particularly interesting are spin-dependent transport phenomena that give rise to properties such as the giant magneto resistance effect, the spin-dependent Seebeck effect, and broadband THz emission from magnetic multilayers. TDTR and TR-MOKE provide unique tools for studying this broad array of electronic transport phenomena. By irradiating metal films with a 70 fetmosecond laser pulse, we are able to generate picosecond electronic heat currents as large as TW m-2. 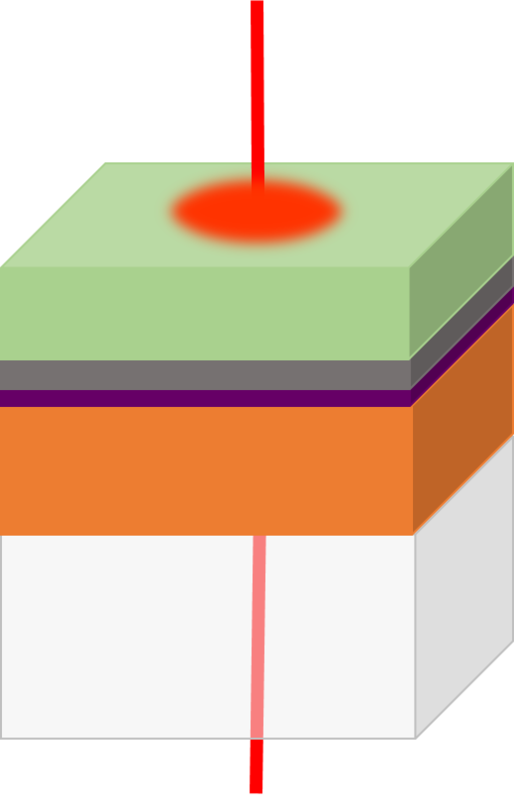 Electronic thermal transport is primarily governed by the interaction between electrons and phonons, as well as electrons and interfaces. We are working to quantitatively understand how these interactions give rise to such a broad range of transport phenomena. Of special interest are the roles of spin heat accumulation, defects, and interfaces. The ability of materials to conduct heat is determined by the interplay of three characteristics: translation symmetry, atomic bonding strength, and chemical composition. Near interfaces, all three of these characteristics are dramatically altered in comparison to a bulk material, which causes thermal transport to be severely impeded. We are investigating the physics of how heat is transported across distinct types of crystals or matter. The applicability of Fourier’s law to heat transfer problems relies on the assumption that heat carriers have mean free paths smaller than important length scales of the temperature profile. This assumption is not generally valid in nanoscale thermal transport problems where spacing between boundaries is small (<1 μm), and temperature gradients vary rapidly in space. We are studying the limits to Fourier theory for analyzing three-dimensional heat transfer problems. Of particular interest is the physics of non-diffusive phonon transport in proximity to crystal interfaces. 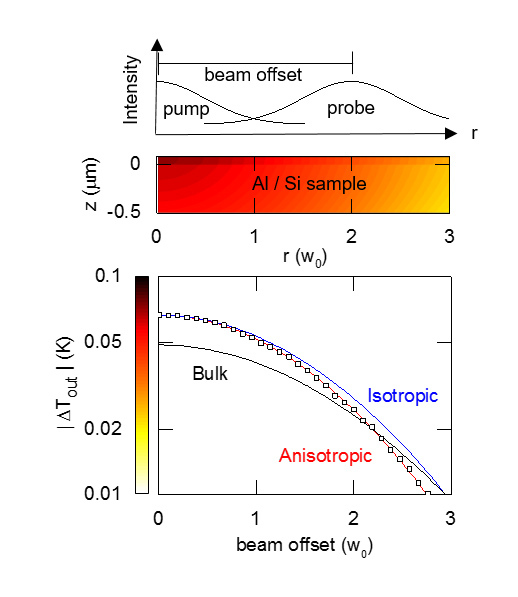 In close collaboration with Prof. Chen Li, we are working to characterize phonon dynamics and phonon transport in materials at extremes of pressure and temperature. 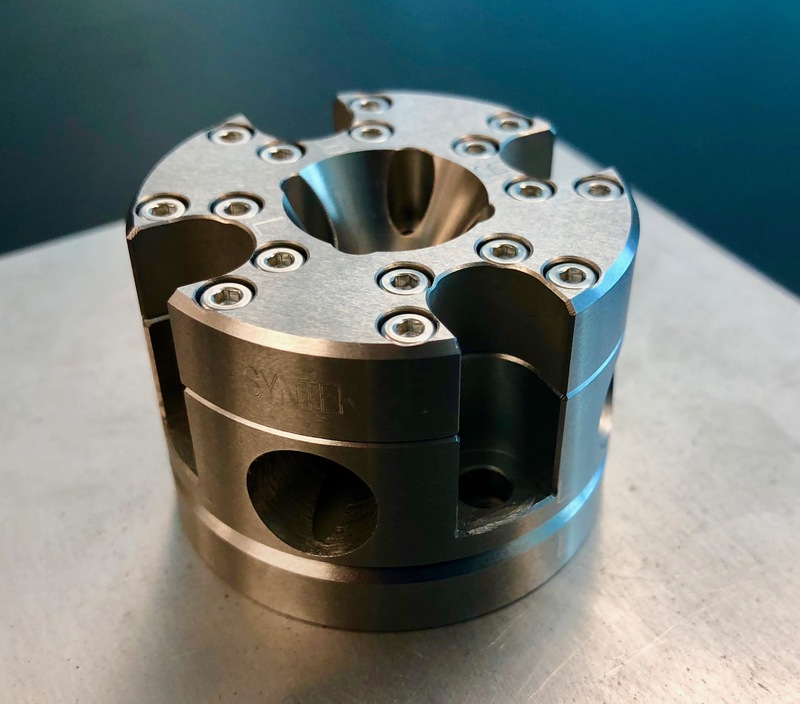 We use diamond anvil cells to apply extreme of pressures up to ~100 GPa. At such extreme pressures, materials undergo radical thermodynamic changes that have a dramatic impact on their transport properties. By studying transport properties at extremes of pressure, we are discovering new transport physics. Transport measurements, such as Hall mobility, are a useful and commonly used metric of crystalline quality. However, in many thin-film materials, e.g. perovskite oxides, small mobilities together with the non-negligible substrate conductance prevent electrical transport measurements from being a useful probe of crystalline quality . We use time-domain thermoreflectance to accurately characterize the thermal conductivity of thin-films. A materials thermal conductivity is sensitive to extended defects as well as point defects. 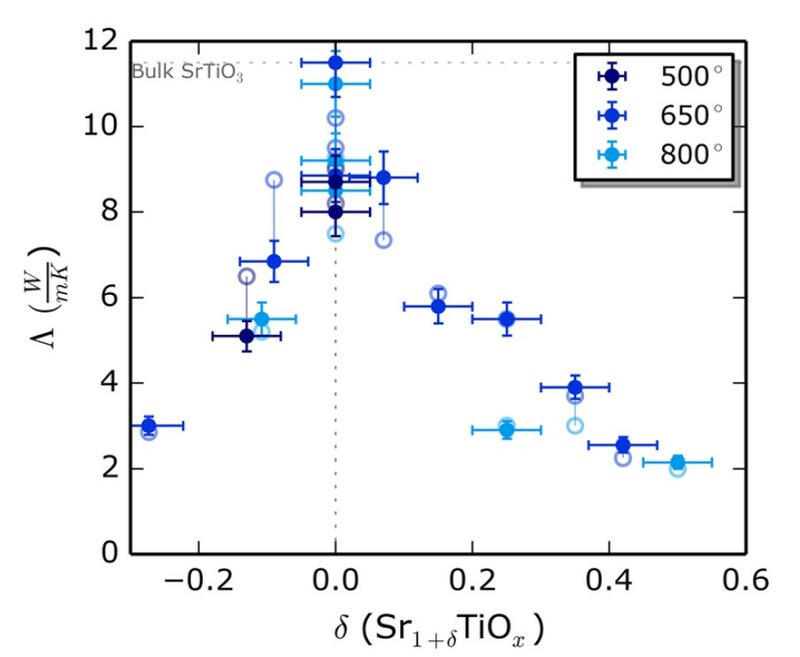 Together with complementary techniques for characterizing defects such as TEM and XRD, time-domain thermoreflectance experiments can correlate the relationship between growth conditions and crystalline defects in thin film materials [2-4].